Your testimonials are always welcome! They are a great way to provide us with your feedback and we promise to post them in their entirety. Ivory, our beloved Lab puppy girl, was very active and almost impossible to control and as much as we loved her we have struggled for several tough months until we got to a point where we knew that the only way to keep her is to have her professionally trained. We did our homework for a while because we wanted the absolut best for Ivory and narrowed the options to the Boarding Training method and this is when your name came up as highly regarded. With a heavy heart we left our little baby in your hands and went home counting the days… and when it was finally time to have her back we had our high expectations but we were not even remoptely ready for the big surprise that was waiting for us. Not only that Ivy came back home 100% off leash trained, she is now so calm and happy and her social interaction with everybody is just amazing. Our bond is much stronger. We feel that she kept her wonderful charm, sweetness and character but left the naughty stuff behind her. It is a dream come true and nothing short of a miracle! We don’t know how you do this but whatever you do, it is working tremendously well. We will surely use your services for any future dogs we might adopt and highly recommend you to anybody who wishes to share better life with their beloved dog. When I decided to welcome a new, exuberant puppy into my life, I slowly came to the realization that I no longer had the matching level of energy needed to train my little Punkin. Although he has an outstanding temperament, stable in the situations we encounter, loving humans and dogs alike, I needed help with his training so that he could become a great member of my family and a therapy dog where I volunteer. Admittedly, I was hesitant to send him for training because he did not have behavioral problems nor was he a large or dominate dog for which Angelika and Tino are clearly world class trainers. I was simply not up to the task of training my little puppy and needed help. When I interviewed Angelika and Tino, I knew I had come to the right place for Punkin’s on and off leash training because of their calm manner and outstanding reputation as professional dog trainers. The day I dropped him off I felt like my load of responsibility was being shared. Over the course of his month-long training, Angelika kept me appraised of his progress and when she sent me a video of him in a group class where his attention stayed focused on her and his tail kept wagging, I was duly impressed. The foundation of his training was being laid down and I was sure I could continue when he came home. It has now been about three months since we have been making the 200-mile round trip on many Sunday’s to continue working with Angelika and Tino. Each time we enter the training center it feels like a homecoming and we are richer for that experience. I’ve also met others training there and glean important training tips on ways to improve behaviors as Angelika and Tino interact with each person individually. I’m confident that my bond with my dog grows stronger due to consistent communication of expectations. It is all a work in progress, but now I’m enjoying the process and feel up to the work, with their guidance. I am grateful to be part of their training circle and highly recommend Angelika and Tino as conscientious and knowledgeable trainers of dogs and their people. When we welcomed our Labrador retriever puppy, Charlie, into our family almost three years ago, we wanted her to be a part of our active lifestyle in a stress-free way. We knew that would require an investment of our time and resources into basic obedience training, but what we didn’t realize at the time was how profound an impact that training would have on us as a family. We first left Charlie with Angelika and Tino when she was just 10 weeks old for a 2-week board and train in their home. We had interviewed other dog trainers prior but it wasn’t until we met Angelika that we really felt at peace with leaving our new puppy. The foundation of on-leash training Charlie received during that stay was an eye-opening experience into what was possible for her. In the weekly follow-up classes that we attended (which we still attend 2.5 years later!) it became apparent to us just how much of dog training is human training. Angelika and Tino worked patiently with us as we learned to effectively communicate with Charlie as leaders of her pack. We also realized how much Charlie thrives in a training environment. Learning and practicing new commands has provided a purposeful, positive outlet for her energy and has helped to foster her happy, calm, and loving temperament. Much to Charlie’s delight, we continue to send her back for board and trains (i.e. “camp”) whenever we go out of town for more than a couple of days. She’s progressed so much in her off-leash training that she is able to stay off-leash while at the park, hiking, and on other outdoor adventures. We have complete and total trust that we’re in control of her at all times, allowing us to enjoy these experiences with absolutely zero stress. We’re not exaggerating when we say that on a daily basis, we receive compliments from complete strangers that we meet in parks, on trails, or in other public places who are blown away by how well behaved Charlie is. Aside from obedience training, Angelika and Tino have been instrumental in training Charlie to perform a number of medically-related service tasks, enabling me to have her registered as my service animal and join me wherever I go. She’s also an appreciated visitor at Craig’s mom’s memory care home, where, thanks to our work with Quality K9, she is able to interact with all of the residents in a calm and gentle manner, bringing joy into their lives with her regular visits. Our time with Charlie has been amazing and Angelika and Tino have played an integral role in that. In working with them, we’ve realized that you can’t put a price on the quality of life that comes from having a well-trained companion. As long as we have dogs, they’ll have Angelika and Tino in their lives! This note is written to help any pack leaders who own hunting breeds and/or have 2 dogs in the pack. My wife and I own 2 young high energy Vizslas that are brothers from the same litter. We have always had two dogs in our packs, but this was the first time we took litter mates. That was a mistake that we will NOT make again, always take dogs from different litters! We had already invested 6 months of time, effort and money into training the boys, but they could not be easily controlled when they were together. We could get them to obey commands when alone, but not when they were together. The brothers seemed to have an unhealthy co-dependance upon each other, and it became clear that we needed professional help to diminish the bond between the brothers and increase the bond with the pack leaders “US”. I researched local trainers, and after visiting Quality K9 un-announced I saw how happy and willingly the client dogs responded to Tino. Dogs wear their emotions on their tails – these dogs were quite happy, proud, and focused on pleasing Tino and their pack leaders. You can not fake or stage that situation. After witnessing his relationship with other trained dogs I was willing to let Tino take our boys and hope that he could break the co-dependance and lay the foundation for a healthy pack. They kept our boys for 2-3 weeks longer than usual because they needed to develop a sense of independence for each boy. It was great to see how they brought out the personality of each dog so that they could mature independently and not co-dependantly. Even better Angelika explained to me that there would be NO extra charge for the extra 2-3 weeks of their time. She said they are committed to deliver a well balanced and well trained dog to me, even if it takes a little longer than expected. That is GREAT service! Two days after they transitioned the dogs back to our home my wife and I had a 25 person dinner party. The boys were able to maintain a perfect “place” (lay on your mat until I release you from the command) for nearly 3 hrs. Yes we did not put them in their kennels, we said, “PLACE” and they laid down on their mat 15 feet from the large dinner table. Our guests were amazed that puppies could be so obedient when guests, food, and excitement were in the same room. In summary, Tino & Angelika earned the trust of me and my pups which allowed them to train all of us to operate like one happy pack. You will not be disappointed by hiring Tino & Angelika to train your pack! We reached out to Quality K-9 after months of struggle with our two female smooth fox terriers. They developed some aggression issues with one another and really lacked structure and basic training. After spending time under Tino and Angelika’s training program we have seen enormous improvement in our two girls. Our dogs used to walk us but now we walk them confidently and with control. They are obedient, and best of all we can now trust them not to run out the front door when it’s open. The compassion Tino and Angelika showed our dogs was amazing. They really put their everything into their work and the results reflect that. We can’t say enough about our experience in working with them and would recommend them to anyone with dog issues big or small! Thanks for everything!! Like all the testimonials, I am deeply grateful for Tino & Angelika’s help with my 2 German Shepherd girls – Ruby, age 3; and Coco, age 2 – who are the first 4 legged family members in my life. My story begins at a very busy Calgary airport last November 2014, where Ruby and Coco had to go through all the required security checks including getting in and out of their crates, dealing with exposure to lots of people, noise and unfamiliar activity. Coco became extremely agitated and nervous to the point where I had to physically hold her down when she was out of her crate as it was being put through the x-ray machine. She barked and lunged at those around us which clearly made everyone in seeing and hearing distance on edge. Upon arrival in Scottsdale, I made immediate contact with Tino & Angelika, who I had met 2 years prior when I was taking my eldest Ruby, to German Shepherd obedience classes. When describing what had happened, Angelika mentioned that it was very fortunate that the airport personnel let Coco continue on her flight, given her behaviour. I was clearly over my head and far beyond my capabilities of knowing what to do. After our initial in-home consultation, I was put at ease hearing that this was a fixable situation – and not only that, but my dream of being able to take both my girls to a patio and enjoy lunch or coffee with friends was a real possibility! No surprise – the one that needed the most training was without a doubt, ME. I needed to commit to working with Coco to let her know that it wasn’t up to her to ‘protect’ me, be constantly on guard and therefore always on edge and ready to go off on anything or anyone at any moment. And it was up to ME to work with both Ruby & Coco in a consistent and authoritative manner – usually described as becoming their pack leader. Tino helped me to understand what Ruby & Coco needed from ME; and that what was needed wasn’t being mean on my part, or negative for them in any way. This in itself was a huge relief for me – I had new, important knowledge that was fundamental to our future success. The training program began. Week 3 – with Tino’s constant and positive reinforcement, and new electronic collars, we were starting to enjoy calmer walks with significantly fewer barking and lunging sessions when seeing other dogs. Week 5 – we graduated to longer sit-stays; down-stays; and introduced more challenging distractions. Boarding & Training – due to unexpected travel, Ruby & Coco stayed with Tino & Angelika for a two week boarding and training session, which further reinforced new, welcomed behaviours. Week 6 – I couldn’t believe it! Here we were at a busy park with dogs, kids, ducks, baseball games, soccer games… and we are working on off leash heeling. Yes. OFF LEASH HEELING. Completely safe, under the mindful watch of Tino. Week 7&8: Coffee on the patio, my dream come true. Surprise visit by Tino with another dog in training – no response from either of my girls. Perfect! Week 9 – at the mall. More new experiences, and the 2 best behaved girls imaginable! Week 10 – at Tino & Angelika’s indoor training facility. Exposure to agility equipment. Close proximity to unknown dogs. Long down-stays. You name it – they were champs. Week 12 & 13. Extra training by Tino in order to prepare for our upcoming flight home. Week 14 – time to fly back home to Calgary. And I have to be honest – while I was confident because of my new knowledge and our training, I was still nervous given our experience flying to Scottsdale. Tino even offered to help me at the airport, but I knew that I had to do this on my own. I am happy to report that our experience at the airport this time was completely different. Coco was quiet and relaxed; and I knew how to keep her engaged and focused on me. There was one extremely small barking reaction when the airport security guy was putting the safety ties on Coco’s crate when she was in it – complete with his face directly in hers. One comment from me calmed her down right away. This particular story ends here – but also marks the beginning of a whole new, and happy chapter for our entire household. The best part of all? Coco is calm, cool and relaxed; and no longer stressed to the max. And so am I! Thanks again Tino & Angelika. We look forward to seeing you again in Scottsdale! I have had the pleasure of working with Tino for the last 8 months. During this time period, Jakob, my German Shepherd and I have made remarkable gains in our training. I attribute these gains to Tino’s natural ability to read canines and his clear direct approach with both canine and handler. Tino has a natural ability to predict behaviors and create training methods that deliver results quickly and effectively. It is one of his many attributes that set him apart from other trainers. Results can be seen in the very first session, and confidence ignites in all involved. 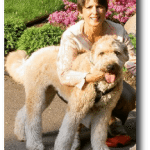 The clear and understandable direction he provides to both canine and handler, reduces the common stresses created by trial and error type methods. This clear direction, allows progress to come quickly, efficiently and with minimal stress on your pet. Tino is genuine in his interest to help your pet, and teach you methods and skills that can lead to a life time of enjoyable pet ownership. He truly is a master trainer. We as a family are so thrilled with the results of Tino Reinke’s training techniques. Having a young, exuberant, working line German Shepherd as a housemate is challenging and she was beginning to rule the roost. My 91 year old mother who lives with us was petrified of being knocked over, my 23 year old daughter was tired of being jumped on when visiting, and my husband unable to quietly enjoy a cup of coffee or watch college football unaccosted. We were at a point where during family hour, needed to place Raven in her crate and close the curtain, sequestered off from her pack! Additionally, our Shepherd works in the sport of Schutzhund and Tino’s ability to communicate with Raven is outstanding. He is very seasoned as a Schutzhund competitor and trainer and has the ability to identify current challenges as well as potential problems with our dog. She has responded so very well to Tino’s leadership style and I have benefited greatly as a novice handler. I enjoy Tino’s ability to clearly communicate goals and how they will be executed. As with our in-house training program, Tino demonstrates a style of handler friendly communication that is result-oriented. Each training step in both disciplines is well thought out and he reviews each one to make sure there is a clear understanding by all parties of the why, what and how. We are so grateful for Tino! Thank You! Although I have been training and showing dogs for over thirty years, I have not met a previous trainer with the exceptional abilities both as a trainer and as a coach for helping me and my dogs succeed in the dog sport. Tino has a unique gift in working with people and their dogs to not only get the dog well trained but to also coach the person on what they need to do to get the precision and peak performance out of their dogs. I am currently working with Tino to get my four German Shepherds ready for competing in Schutzhund trails at various levels from Schutzhund I to Regional competition. Each time we train I find that every one of my dogs makes significant progress either in learning new exercises, in improving the precision and speed of the exercises, or improving my ability to get a higher level performance out of my dogs. And when I leave them with him to provide some concentrated training on particular areas, they always make great progress and come back home in great shape and with a great attitude. And at the same time we have been working to continue to make all four of my dogs more of a pleasure to live with in the house as well as travel with to visit friends, for work, and for vacation. And living and traveling with four German Shepherds as members of our family is not an easy feat. From being able to go to friends house for dinner and having impeccable manners to coming with me to client meetings Tino has helped me develop the skills to train and retain the manners that make living with four dogs a lot of fun. I would highly recommend Tino to anyone who wants their pet trained as a great companion and family pet as well as to anyone who wants to achieve peak performance in dog sports such as obedience or Schutzhund. He is a great trainer, an exceptional coach, and a fun person to work with. Seriously, before we started training with you, I thought I might have to give Sedona up due to the control issues and the size of her. I never would’ve thought that “little” me can control her. Showing me that the strength was in my presence and not in the leash changed everything! Thanks again for your patience and making me feel like we were your only customers- you are a true professional! Just wanted to thank you for the success we are having training with you. After multiple trainers tried to help me with my Doberman girl, you were the only one who could identify the problem and had a solution. Creating a unique program for my particular dog was refreshing compared to all the “other guys” who have only one way to train. Your willingness to merge your clicker training with my verbal clicker has worked out very well for me. The explanations you give allows me to understand and implement your suggestions. This has all led me to be able to title my girl. I’m looking forward to adding my other two dogs to our training and move forward to title them as well. I really appreciate your working with Gunny, my 5 year old Doberman Pinscher, and me as we continue towards our training goals! You are the perfect teacher as you have been able to understand both of us and the way we learn best, enabling us to get the most out of our training sessions! You never get frustrated with the extra time it takes for me to “absorb” what I am supposed to do and what I am not supposed to do. Your willingness to not give up on us has given both Gunny and me the confidence we need to achieve our goals! Gunnyand I could not asked for a more compassionate, patient, and most of all skilled canine coach. You are truly amazing! We love you, Tino! After my dog, Vito, went through traditional obedience with another trainer, I was encouraged to give agility training a try as a way of keeping it fun. I have a very energetic, intelligent and curious Pit Bull pup who learns fast, but can get bored and do his own thing just as quickly. I heard that Tino is especially good with bully-breeds and signed up for his “Big Dog Big Fun” class. Not only is he excellent with canine psychology, but has a seamless way of making it feel like play…for me and Vito! I learned that all rewards are not equal, and have received the benefits of discovering what truly motivates my dog. Every week I walk away with at least one gem that I can carry into at home training…aka “games.” Only three group sessions and my 6 month old pup and I are already beginning to operate as a team! I recommend Tino to anyone who wants to not only have a well-behaved and happy dog, but who wants to have a heck-of-a lot of fun in the process! Over the past 30 years that I have lived in Phoenix, I have owned various dogs; Labrador Retriever, Hybrid Wolfs, Collies, a rescue dog, and five German Shepherds and have tried to learn better training methods. During this time I have worked with multiple trainers to assist me in accomplishing my goals. In the beginning I was looking for more of the basics, a family companion that is not only obedient to the family, but also respectful of our guests. While going through their training programs, it felt like it’s a dog, there is only one way you train it. However, if you have owned a few dogs you are aware that each one responds differently, and has a different personality. One method of training a dog will not work for every dog. The last trainer I worked with, believed her methods were superior to other trainers. Although I believe she may have some training talents, she also created many negative behaviors in my dog that had to be rectified. I believe I started working with Tino from QualityK9 about 8 or 10 months ago. Wow – what a difference in training skills! I have seen him work with very small to large dogs that range the complete spectrum in temperament. It appears that he always adapts his training methods, based on the dog’s temperament and the owners’ skill level. I guess when you can pull from your repertoire of almost 25 years of experience, it becomes second nature. One of the very unique traits Tino has is a talent to communicate and teach not only the dog but also the novice or experienced handler. Although Tino does not embellish his professional accomplishments, it’s astounding to see how he works with people. I would compare this to an accomplished Indianapolis 500 racer, enjoying teaching students at driver’s education. The only thing I wish was different, is that I met Tino many years ago! I would be a lot further along as a handler of my German Shepherd. Keep up the great work; I look forward to years of working with you. It is with the utmost gratitude that I write this letter. Although I’ve worked with various dog trainers over the years, I have never experienced the caliber of training you provided for Berrin and me. It has been an amazing journey working with you. I appreciate the patience, kindness and generosity that you demonstrated while working with us. Prior to training with you, I was a frustrated dog owner ready to give up on a great dog because of my lack of knowledge. I was impressed with the time you took to assess our situation and see the bigger picture. You did a superb job with Berrin during his training at your house. Although Berrin was trained when we picked him up, I had a lot of work to do. During our first lesson I was really overwhelmed by all that I did not know about working with my dog. Had you not been so kind and patient, I would not have made it past lesson one. I appreciate you sharing your vast wealth of information on dogs and training during our lessons. Since I am not a right brain learner nor kinesthetically inclined, working with Berrin has been challenging for me. In addition to your patience and kindness, I appreciate you taking the extra time to work with us. I learned so many things during our lessons. Working with you has helped me to better understand my dog, to build a better relationship with him, and to enjoy just being with him. In addition, I’ve acquired a new set of skills to better communicate with Berrin. The new skill set has also helped me to become a more confident handler. Prior to training with you I was uncomfortable taking Berrin out of the house because I was afraid of being unable to control him. However, that has changed and Berrin and I are looking forward to taking the Advanced Obedience Class with you. Thank you for a rare and fantastic learning experience. We have a beautiful 16-month-old German Shepherd that we are raising. With Tino’s guidance we are successfully navigating all the unpredictable puppy fears and behaviors that arise along the way. Tino has allayed our fears and anxieties as our puppy confronts new challenges (skateboards) and guided us toward better and more consistent handling techniques Recently we took advantage of QualityK9’s boarding and training services. We felt it would be a wonderful opportunity to have Tino evaluate our pup’s strengths and weaknesses and in turn help address any issues. It was the best thing we ever did for us and our dog! We are so pleased, it was a real turning point for all of us. The experience was made even better because Angelika kept us updated by email on how things were going. Koda is our third GSD, so over the years we have been with a number of trainers and we are so convinced we are now with the best. The breed is amazing and deserves owners who bring out the best in them. We feel strongly that we have a wonderful mentor in Tino who will help us achieve our training goals. As we complete our last day of training with Tino, I must let you know what this training has done for Buddy, Ron and myself. If you remember when we met, I was so worried about the state of anxiety that Buddy was in that we felt he may harm someone. We were so short sighted in thinking if love was all he needed, he would be an awesome dog. Love wasn’t the answer. Due to the abuse he endured in his first 18 months before we obtained him, he was aggressive toward bikes, skateboards, loud cars, motorcycles, anything with wheels, thunder, fireworks, the Fed EX and UPS men especially. With the passage of time, it was only escalating. Through Tino, we learned to take over the leadership role in our household and take the burden off Buddy and let him know how we expected him to behave. During our meetings with Tino, he was at our door at the determined time, promptly and never once canceled our meetings. I could tell by our first meeting that Bud would be safe in his hands and that we could trust Tino, it was just something I felt. Instead of avoiding the things that Buddy found confrontational, Tino gave us the tools to be able to face them head on and in turn Buddy has learned to walk on the bike path and not respond negatively to the passing traffic, be it bikes, dogs, rollerblades etc. He is now also able to dine “alfresco” with us in our lovely city, never could this be accomplished before. He even aced his afternoon in the Harley Dealership! Gone is our 16 ft leash, Buddy walks at our side on his short leather leash and is ENJOYING HIS WALK. No more pulling, chasing rabbits or leading me. We can highly recommend Tino and his training techniques. We also have been complemented many times on our outings on having such a well behaved dog. Thank you from the bottom of our hearts for giving us such a calm and happy dog. We will miss our times together.